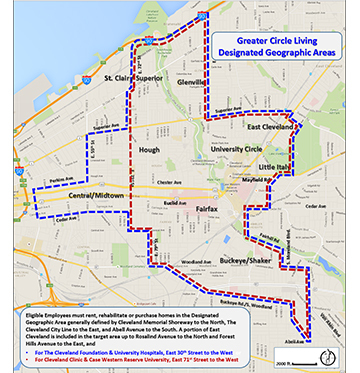 What is Greater Circle Living? IMPROVING access to affordable housing. ASSISTING individuals in wealth building. REDUCING commute times and costs. OFFERING an opportunity to live and work close to world-class institutions, services and amenities. Including the shops and eateries of Shaker Square. Is home to several notable institutions, historic sites and a diverse selection of restaurants. An emerging commercial and residential district. Center of an urban renaissance and home to the renowned Karamu Performing Arts Theatre. 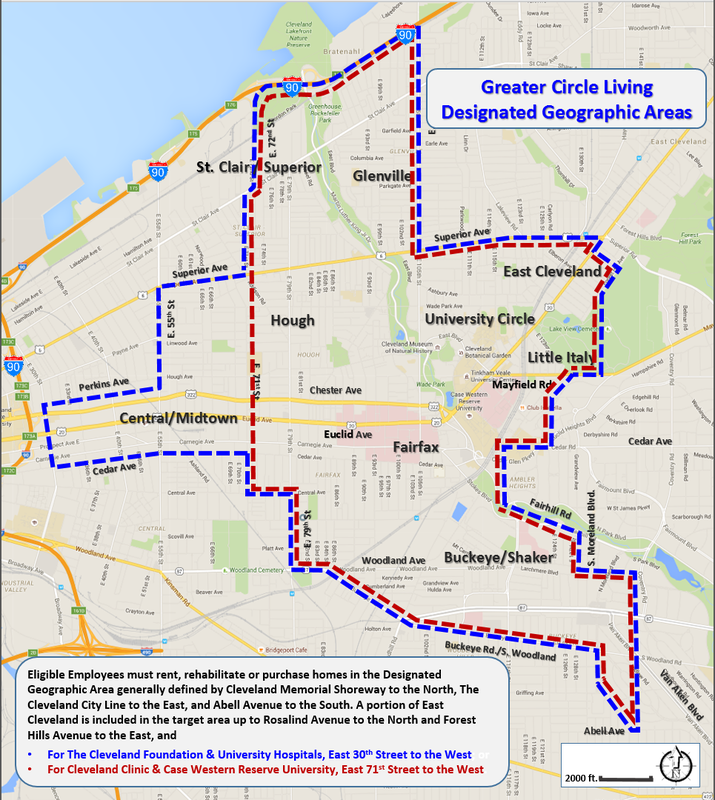 Harboring the Cleveland Cultural Gardens and some of Cleveland's grandest homes. Nestled at Cleveland Clinic's front door and ripe for rebirth. Little Italy, a welcoming mix of old world restaurants and bakeries and fresh art. A community built on generations of proud residential heritage. Amongst museums, the home of The Cleveland Orchestra, cultural institutions and treed grounds of Case Western Reserve University. Greater Circle Living offers a $10,000 forgivable loan for down payment and/or closing costs for the purchase of an owner-occupied home by full-time employees and part time employees with 2 years of service at an eligible nonprofit institution in Greater University Circle. Other programs are available depending on your employer.